Embracing winter is what we do best here in the Canadian prairies. We happily bundle up and head outside, even if it's -30C or colder. We recently made some DIY duct tape sleds and headed for the hill to try them out. 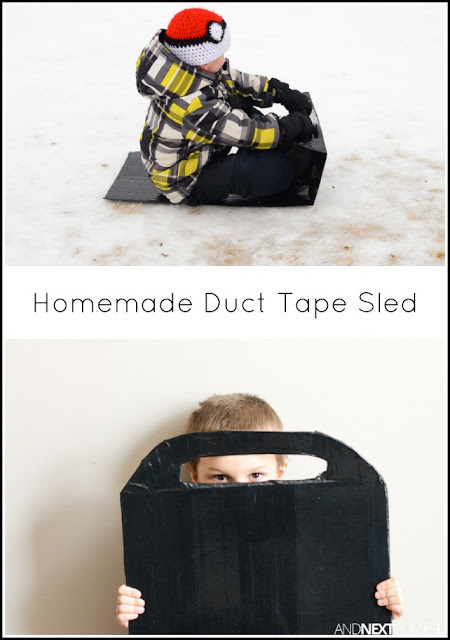 Making a duct tape sled is such a fun winter craft idea for kids of all ages, especially since duct tape now comes in a variety of colors and patterns. It's easy and frugal too! 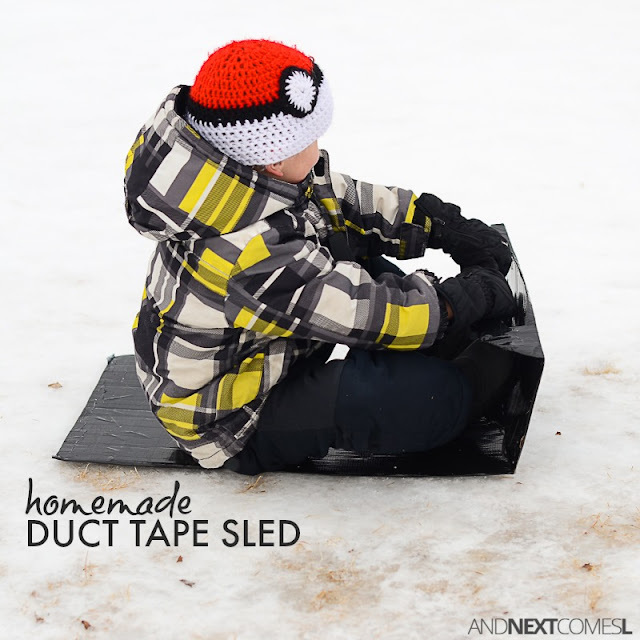 I have seen homemade duct tape sleds before and was always intrigued by them. I wondered how good of a sled they could actually be. The results were totally amazing, by the way, and the kids adored their homemade sleds! Also, fun fact: we made these duct tape sleds using the cardboard box from the GT snowracers the kids received for Christmas. Nothing like making a sled out of a box from a sled! PS: How awesome is K's crochet Pokeball toque? It was my first crochet project ever and it turned out amazing, didn't it?